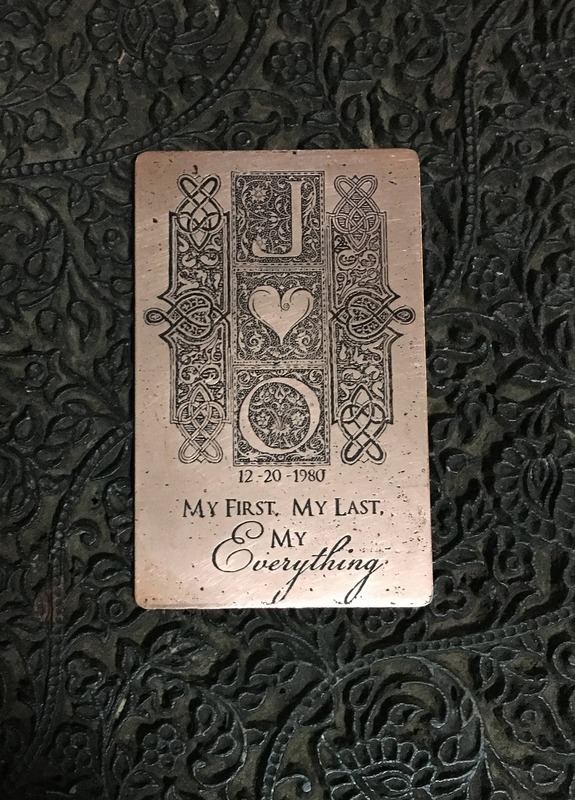 Our unique personalized handcrafted Copper Wallet Cards is a wonderful way to gift someone with a special saying, quote, keepsake, love notes, etc. which they can carry every day. 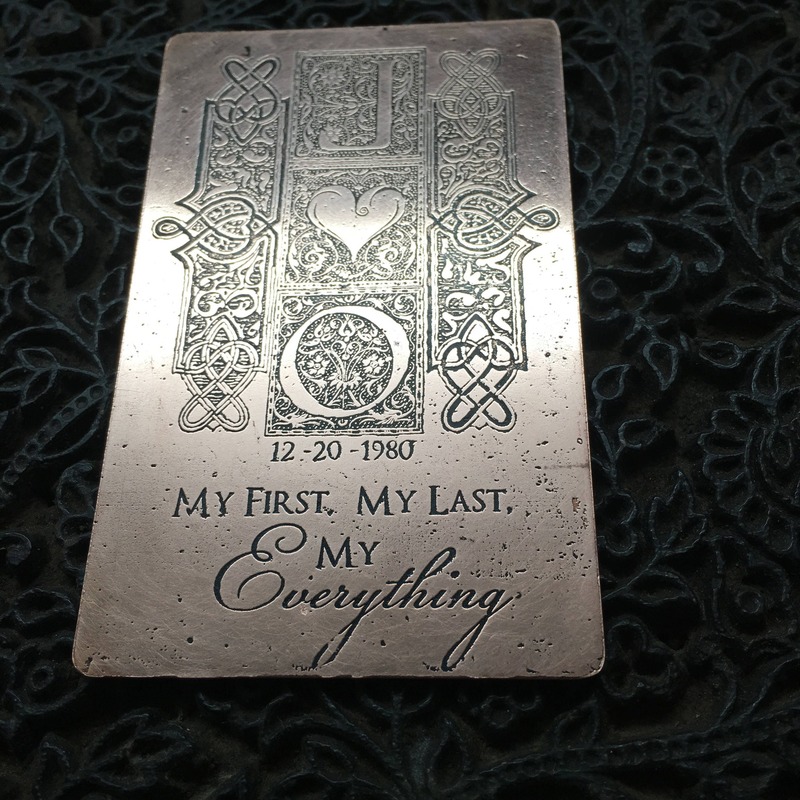 Our ability to etch your personalized information into copper is unique due to the intricate creation process which is all handcrafted and involves designing, hand-tooling, etching, natural patina and then sanded around the edges so that it is smooth to the touch and will not damage a wallet. 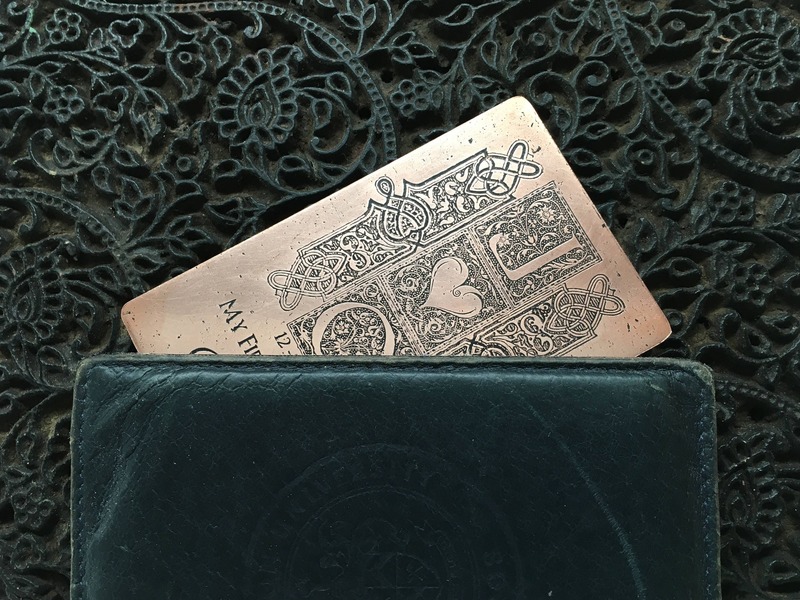 The Copper Wallet Card is made of 100% raw recycled copper which is 20 gauge/24 oz., the estimated dimensions are (2" x 3", 5 cm x 7 cm) and is the same size as a standard credit card or business card. 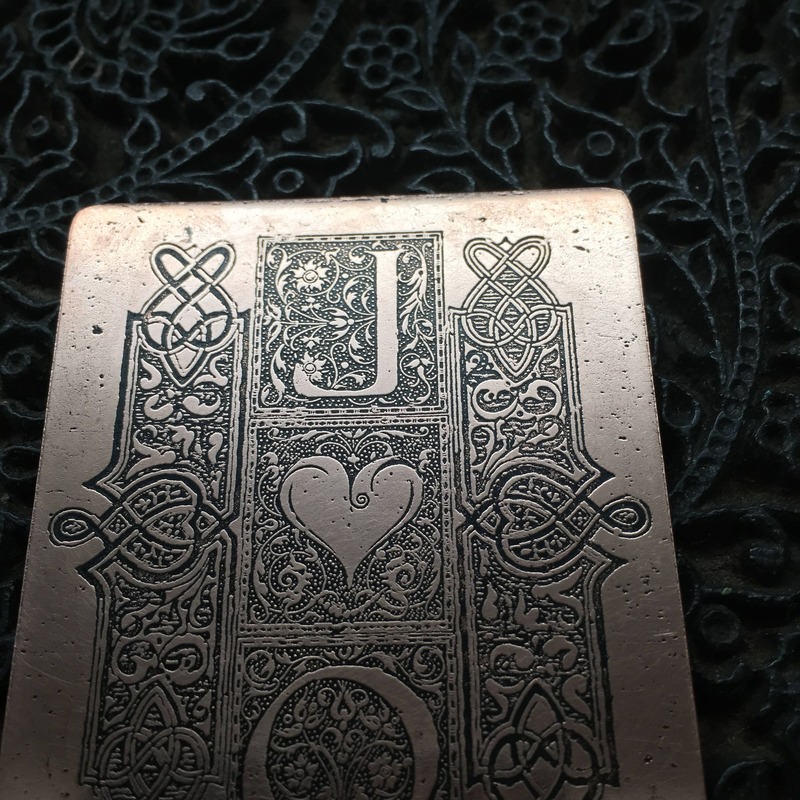 This special keepsake will last the test of time and copper it is a wonderful medium which will patina naturally with time. This is sure to be a cherished gift.